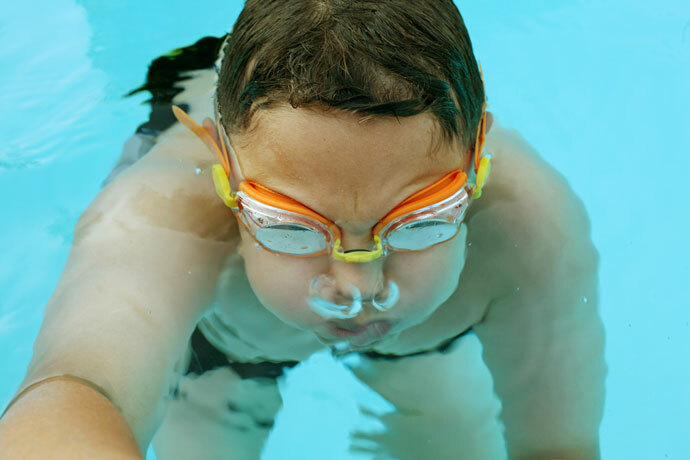 This page provides an overview of our articles about the breathing technique in swimming. 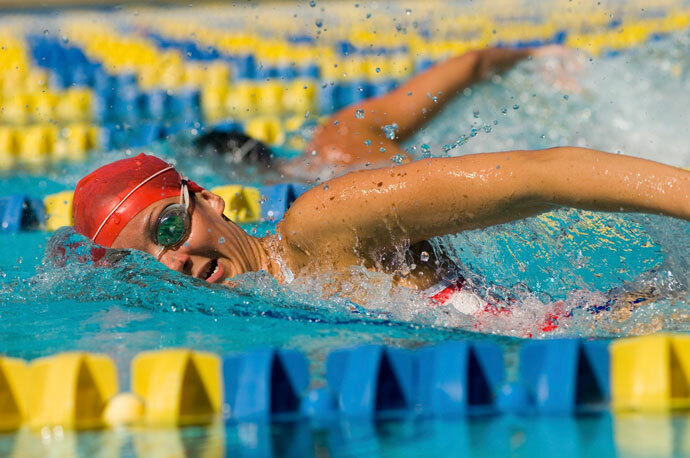 Mastering the breathing technique is essential in all swim strokes. 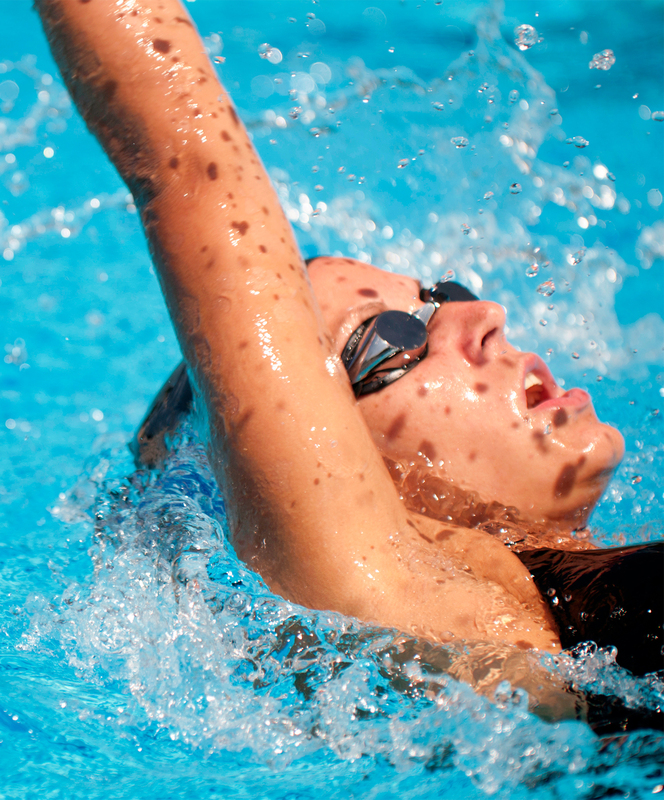 Contrary to other (dry land) sports, where breathing is unconstrained, the breathing technique in swimming requires that you breathe in and out at particular moments during the stroke cycle. You should also follow specific rules to maximize breathing efficiency without disrupting the rhythm of the stroke. Along with other technical hurdles, this explains why breathing can take a while to master when you learn how to swim. The following articles give you basic tips and exercises you can experiment with to practice your breathing technique in the water. 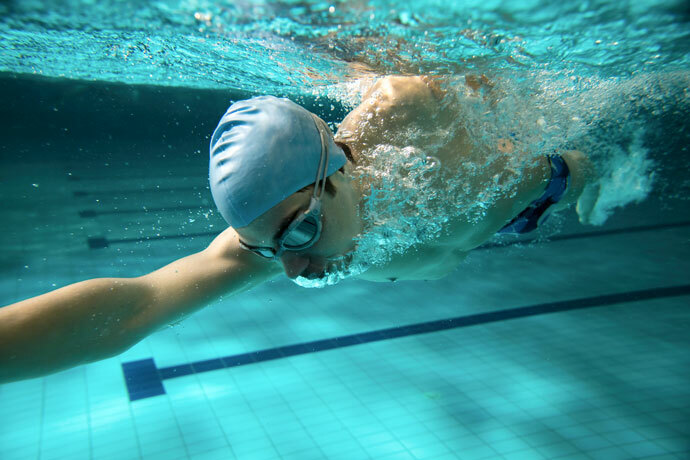 Basic Breathing Tips and Exercises: This article describes a few basic tips and exercises you can practice to get familiar with breathing in and under water. Overcoming Fear of Water: Breathing in the water can be difficult to practice if you are afraid. This article proposes a sequence of exercises to get over this fear or at least to become more relaxed around and in the water. 8 Drills to Learn Breathing in the Freestyle Stroke: Breathing issues are common while learning the freestyle stroke. This article proposes a few breathing drills to overcome those issues. 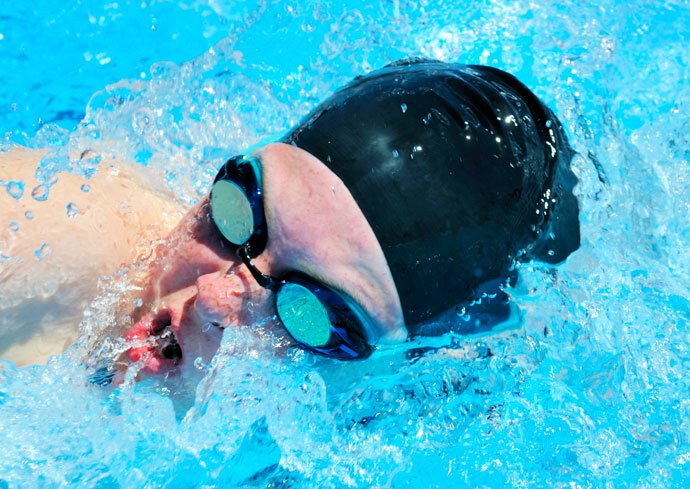 The following articles cover the breathing technique in detail for each swim stroke. Freestyle Stroke Breathing Technique: Covers all aspects related to breathing while swimming freestyle. Explains how to breathe during the various stroke phases, when to use unilateral or bilateral breathing, and gives a few additional breathing tips. 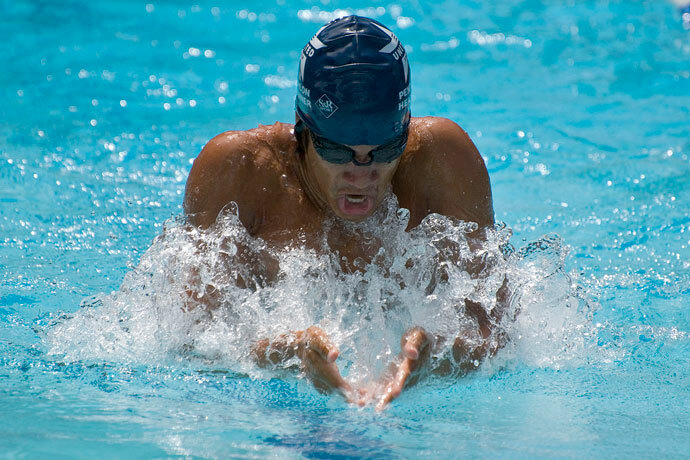 Breaststroke Breathing Technique: Covers all aspects related to breathing in the breaststroke. Explains the advantages and shortcomings of keeping your head above the water surface or submerging your head as competitive swimmers do. Additional tips are also provided. Backstroke Breathing Technique: Covers all aspects related to breathing while swimming backstroke. Explains why good balance is important and how to deal with splashing water. Different breathing patterns are also described. 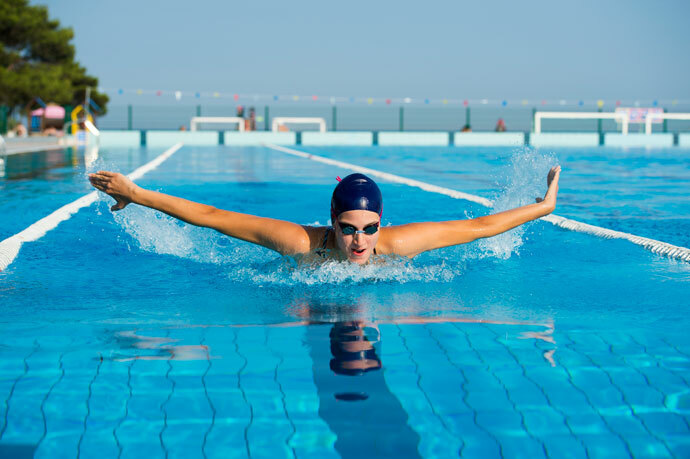 Butterfly Stroke Breathing Technique: Covers all aspects related to breathing in the butterfly stroke. Explains when to inhale and when to exhale, how to blend breathing and non-breathing strokes, and why some butterfliers breathe sideways rather than forward. How do I increase breath control for a long time without inhaling and exhale? Highly appreciated. You have not mentioned anywhere, whether breathing in is through the nose or the mouth or through both nose and mouth? I breathe in through both the nose and the mouth. I have an ACL injury, is that a problem for swimming in the pool? I am a beginner in swimming. I am learning myself. Today is my 10th day of swimming. I’m now able to swim a bit by taking a long breath and moving a little distance. How do I put my head out of the water to be able to swim continuously? Please have a look at the swim lessons in our Learn To Swim section.